A New Leaf: This Book Room: 5 must-read books! 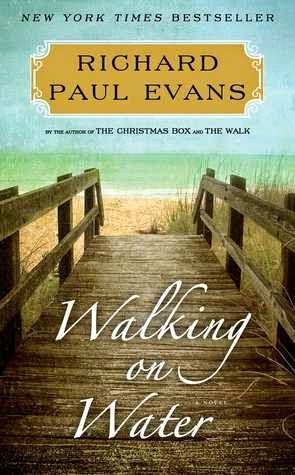 Additional notes: This is the fifth and final book in the Walk series. You can read my review of the first book here, the second book here, the third book here and the fourth book here. My thoughts: If you haven't yet read this series, please, please read it. It's such an amazing story. I don't even care that it's fiction. It is so well researched and well written that I could swear it's non-fiction. At the very least, I'm very positive it could be a true story. It's credible, it's real, it's moving. I've cried many a time reading these books and this book was the perfect ending to this series. Now I want to cry because it's ended and I want another series like this one! longhaired, British bass player. Marriage followed quickly, then twins, and gradually their bohemian lifestyle gave way to busy careers in New York. Gayla's second love affair is with New Bern, Connecticut. Like Brian, the laid back town is charming without trying too hard. It's the ideal place to buy a second home and reignite the spark in their twenty-six year marriage. Not that Gayla is worried. At least, not until she finds a discarded memo in which Brian admits to a past affair and suggests an amicable divorce. Devastated, Gayla flees to New Bern. Though Brian insists he's since recommitted to his family, Gayla's feelings of betrayal may go too deep for forgiveness. Besides, her solo sabbatical is a chance to explore the creative impulses she sidelined long ago?quilting, gardening, and striking up new friendships with the women of the Cobbled Court circle?particularly Ivy, a single mother confronting fresh starts and past hurts of her own. With all of their support, Gayla just might find the courage to look ahead, decide which fragments of her old life she wants to keep, which are beyond repair? And how to knot the fraying ends until a bold new design reveals itself? 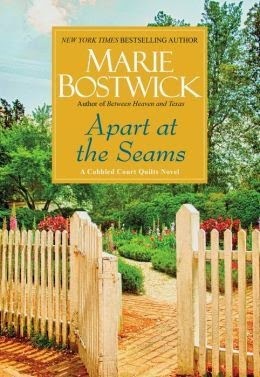 Additional notes: This is the sixth and latest book in the Cobbled Court Quilts series. You can read my review of the second book here, the third book here, the fourth book here and the fifth book here. My thoughts: I love this series. If you love crafts or just really good chick lit books, this series is totally for you. With that said, Gayla was kind of annoying as far as characters go. I did love the scenes where she threw plates at the wall (I so want to do that someday! ), but I felt she really took things out of perspective sometimes. Marriage is never, ever easy - is it supposed to be? - and I feel like it was a bit unrealistic for how Gayla acted. 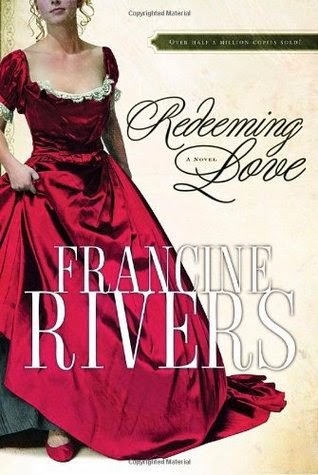 Nevertheless, I will anxiously await the next book in this series. Fifteen-year-old Sara and her beautiful sister, Rachel, are too young to legally drive a car—but are approaching spinsterhood in Utah’s secret polygamist Blood of the Lamb community. Having long since reached the “age of preparedness,” they will soon be married off to much older men chosen by the hidden sect’s revered Prophet. As Sara, chosen to become her uncle’s fifth wife, grows more distraught over her impending incestuous marriage, she begins to scrutinize the faith she has followed blindly her entire life. But for Rachel, who will be married to one of the many powerful community leaders vying for her hand, disobeying the Prophet means eternal damnation. Her friendship with the newest member of the community, the young and handsome Luke, starts as an attempt to save his agnostic soul, but ends with the pair falling helplessly in love. When Rachel is forbidden to see him, her absolute faith in the Prophet is severely tested. When Rachel’s future husband is finally announced, violence erupts, and the girls must find the strength to escape the only life they have ever know…before it’s too late. My thoughts: I had picked up this book previously, and I think it was in a season of my life where I didn't want to read sad stories. I guess I'm now in the mood to read sad stories because I re-borrowed the book from the library and devoured it in one day. Actually, I think I read most of the books reviewed here in one day. I'm not sure what that says about me! 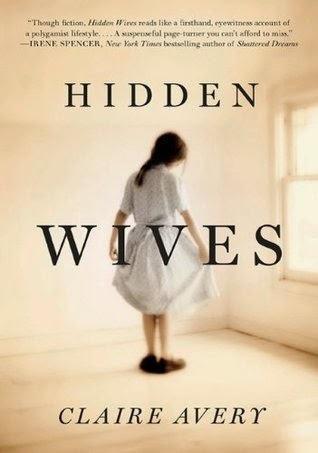 Anyway, I love reading about polygamist families. I don't really know why except the lifestyle is so fascinating to me. This book was a serious page-turner. Part suspense, part psycho-thriller - you'll not want to put this book down until the final page. bodies for a place to sleep. My thoughts: I had tried to read this book many times but just couldn't get into it. I found a paperback copy at Goodwill for 65 cents and bought it to force myself to finally read it. And boy, did I read it! I do not know why I could not get into it before. I already want to re-read it. I never wanted to put the book down. It went everywhere with me. Angel and I are so different, but I could relate to her on so many levels. It doesn't matter if you're a Christian or not - this book is just plain good. It is 1970 in a small town in California. 'Bean' Holladay is twelve and her sister, Liz, is fifteen when their artistic mother, Charlotte, a woman who found something wrong with every place she ever lived, takes off to find herself, leaving her girls enough money to last a month or two. When Bean returns from school one day and sees a police car outside the house, she and Liz decide to take the bus to Virginia, where their Uncle Tinsley lives in the decaying mansion that's been in Charlotte's family for generations. An impetuous optimist, Bean soon discovers who her father was, and hears many stories about why their mother left Virginia in the first place. Because money is tight, Liz and Bean start babysitting and doing office work for Jerry Maddox, foreman of the mill in town;a big man who bullies his workers, his tenants, his children, and his wife. Bean adores her whip-smart older sister;inventor of word games, reader of Edgar Allan Poe, nonconformist. But when school starts in the fall, it's Bean who easily adjusts and makes friends, and Liz who becomes increasingly withdrawn. And then something happens to Liz. 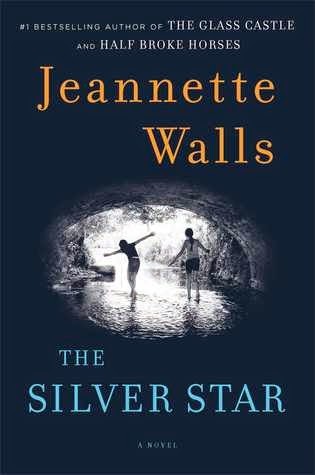 My thoughts: I love, love, love Jeannette Walls' way of telling a story. All of the characters in this book (minus the evil ones) are so lovable and relatable. I loved Bean. I wanted to bring her home and make her a cup of tea. Uncle Tinsley was smart at times and other times, not so much. But it all made him more lovable. I sincerely hope Jeannette is hard at work on her next novel because I'm absolutely salivating for it.